Did you know that Janome offers a series of workbooks and addendums to understand and operate our machines to the fullest? In these pages you will find the detailed explanation of the specific functions of the machines and the presser feet that are supplied with the machine and the optional feet. The original MC15000 Workbook has 107 pages of knowledge to get you acquainted with your new machine. Then, we launched an addendum with an additional 24 pages about the AcuFil tools and functions. Now, we have relaunched the workbook with a total of 248 pages of information! That’s 117 pages of new material relating to the new Quilt Maker model! Learn how to use the new feet, new sewing features and the included apps! 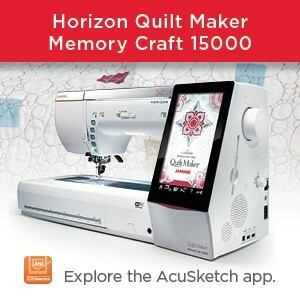 This book comes fully assembled with all available content for the Horizon Quilt Maker Memory Craft 15000. 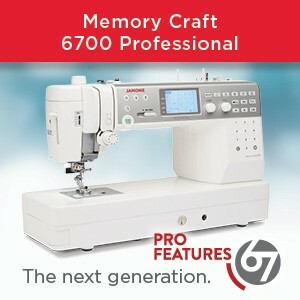 Already have the MC15000 Workbook but updated your machine to the Quilt Maker version? That’s ok! The Quilt Maker content is available as its own addendum for individual purchase as well. With 124 pages dedicated to new features, it’s a must-have addition to your current workbook. There are two Janome Horizon Memory Craft 15000 workbook addendums which includes information on AcuFil Quilting. The addendum to the workbook includes 24 new pages. The third addendum is the one for Quilt Maker/version 3. NOTE: The addendums do not include the binder when purchased separately. The entire bundle with binder and 3 parts is available as well. Please ask your local Jnaome dealer for more information. Janome Horizon Memory Craft 15000 Work Book . The Janome all-new Accessory Presser Foot Workbook is now available! This fully illustrated book will give you a comprehensive overview of Janome’s presser feet. It is written in an easy-to-follow lesson format and includes helpful hints throughout its contents. Janome is sure that this book will be a useful tool for beginner to advanced sewers. The Presser Foot Workbook comes with pages that are bound in a 3 ring binder with a cover page and spine inserts. This workbook contains helpful information on the Blind Hem Foot G; Button Sewing Foot T; Automatic Buttonhole Foot R; Even Feed Foot; Overedge Foot M; Rolled Hem Foot 2mm D; Satin Stitch Foot F; Zig-Zag Foot A, Zipper Foot E and More! There are several addendums to the presser foot Workbook: The Presser Foot Workbook Binders and Guides addendum. 56 pages on all the optional accessories that deal with bindings and sewing guides. *Binder not included. This is an addendum, not the complete workbook. The Janome Coverpro Accessories Addendum is another supplement to the Presser foot Workbook. This Coverpro Accessories addendum contains 21 pages filled with information on accessories used your Coverpro machine. Learn everything you need to know to sew like a pro on your Coverpro. *Please note – This is an addendum. Binder not included. This addendum or supplement to the Janome Presser Foot Workbook covers multiple free motion feet and options for every Janome sewing machine. This addendum includes 35 additional pages meant to be added to the original Presser Foot Workbook with information on all the optional and standard accessories you would use for free motion sewing and quilting across the spectrum of machines in the Janome machine line up. Written in an easy to follow lesson format with tips and color pictures, it is full of information to help you choose the best tools and techniques to make your creativity shine. Janome’s Specialty Presser Foot Workbook is a supplement to Janome’s Presser Feet Workbook. This specialty foot addendum contains 77 pages filled with information on standard and optional accessories used in specialty sewing and quilting Learn everything you need to know to sew and quilt like a professional on your Janome Machine. *Please note – This is an addendum, Binder not included. If you already have a workbook, you may order the addendum. If you do not have any of these binders, the full version is the one to order. Note that all of these documents are in English only. There are also many pictures that clearly illustrate the operation to be performed. Visit any Authorized Janome dealer in your area to order these Janome workbooks and addendums. This entry was posted in Janome Workbooks and tagged 1000CPX JANOME COVERPRO SERGER, Janome Binder foot, Janome Coverpro accessories, Janome Free motion feet, JANOME MC15000, Janome Needle plate markings, janome specialty presser feet, Memory Craft 15000, Specialty feet. Bookmark the permalink. Is there a workbook for the 9400? I am unaware of one. I will enquire but generally we make these for our Top of the line sewing and embroidery combo machines. I do love your column and it has a lot of information. However, it seems to me that there are very few columns about the Memory Craft 12000. I have had my machine for about 2 years and do love it. 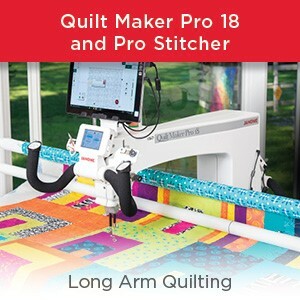 I believe the Quiltmaker 15000 came out pretty soon after the 12000 came out and would like to know more information and tips and tricks about the 12000. I do have a workbook on my machine, and have referred to it often. I read the columns about the 15000 and would like to know how to accomplish similar results on my machine. I know there is not an enormous difference between the two machines. I am constantly learning new things about the 12000 by searching the internet. Could you suggest other websites where I can learn more about the capabilities of the MC 12000? Thank you. We tend to do posts on a wide range of topics and machine models each month and going back many years. We dont usually do posts on machine modles which have been discontinued. However, there is a purchasable workbook on the MC12000 as well this website: https://www.janome.com/machines/embroidery/horizon-memory-craft-12000/ where you can find more information about your machine. I know we currently have inventory of the workbook in Canada but it is on clearance so if you are interested, I would contact a Janome Canada dealer as soon as possible before there are no workbooks left in stock. Where are these workbooks available? These workbooks are available at authorized Jnaome dealers across Canada and the USA. Why do we have to pay extra for the addendums? Why can we not just download them directly ourselves? The addendums are all separate purchasable items. We did not include a binder for each one – probably to reduce costs for the consumer. These are not available for free download due to the cost of producing these top quality sources of additional information. Free information about presser feet and attachments is available on the janomelife blog; on our website and also video’s on our free Janome video accessory app. Is there anything for the 9400? I am unaware of a Workbook for the MC9400. 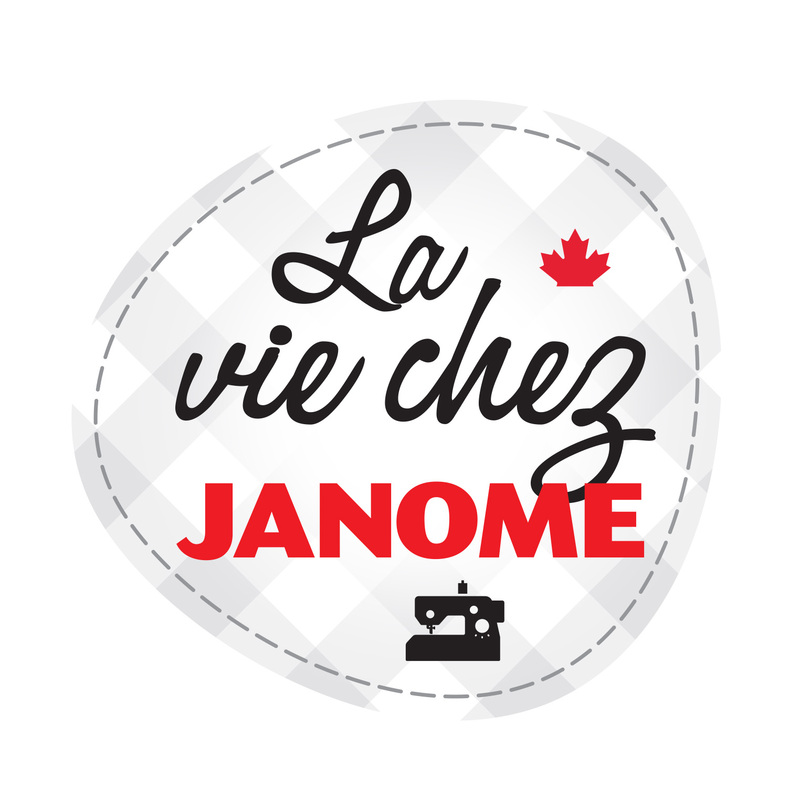 However, we have had many, many posts on Janomelife on this model – at least 1 per month for a long time and you may also visit Chatterbox Quilts where Kim Jamieson-Hirst who is one of our Janome-Canada educators, offers a great deal more information in the form of video’s and more. I assume you are asking about the Janome MC12000? If so, yes, there is a workbook. Has been for a long time and , in Canada, it is currently on clearance, so I would contact your local Jnaome dealer ASAP to order yours. Part # is WB12000.